Exciting Things Happening on MM: Yahya Ibrahim, Mujahideen Ryder & More! We have been pretty busy recently on MM. We have been quietly adding several new exciting writers and associates. 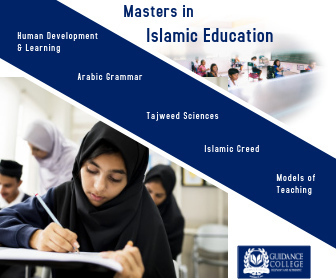 In case you missed it, we have recently added Mariam E., who joins us with a Bachelors in Islamic Studies, Ismail Kamdar from South Africa with an Aalim course from a Deobandi school as well as a BA in the Study of Islam, and last but not least, Youssef Chouhoud, who has a MA in Political Science and is our third Egyptian American on the team! Br. Nadim Sohail has been promoted to Staff and will be helping the Shura make MM bigger and better, esp. with his IT skills. Accueillir Nadim! 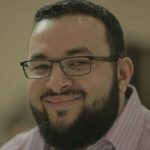 Finally, to top it off, we have managed to have the exciting and beloved young Shaykh from Australia, Yahya Ibrahim, say yes to MM, as well as recruit one of the “fathers” of the Muslim blogosphere, Br. Amir aka Mujahideen Ryder, aka MR, who recently announced the end of his blog. Of course, the Muslim blogosphere couldn’t quite afford to lose a talent like Amir, so he will be working with MM to implement exciting projects and share periodical MR-deep-thoughts! MR in MR’s tweet-size bio: Muslim. American. New Yorker living in Maryland. Web developer by profession. Son of Guyanese immigrants. Educating himself about Islam has been a passion for the whole of his adult life. Yahya is a registered teacher and former A/Deputy Principal of the largest Islamic school in Australia. His message is simple – Love Allah, the Messenger and your family. Please welcome the new team, as well as share any thoughts on what changes/additions you would like to see on MM, but please keep it positive and constructive! This is super exciting masha’Allah. Alhamdulillaah welcome to the site. We look forward to your contributions. Looking forward to the contributions! Great news ma sha Allah! Let’s hope and pray that MM moved to newer and higher heights! Plus, Mujahideen Ryder and Muslim Apple! I guess this is considered pulling a Michael Jordan. Let your readers know you’ve moved. Alhamdulilah, your still here!!! I was sad when you ended your original blog!! Great news to hear that you’re back, Alhamdulilah! I’ve been pondering over the standardization of transliterated words but haven’t come to any firm decision, yet. Would you like to join the editing team? I can help in whatever way possible insha Allah. But joining the editing team would be different (I think). I do not know what the expectations will be and it seems like regular commitment, which I may not live up to. Let me know if there’s anyway I can contribute on the sidelines. * Common Arabic words like Islam, Qur’an, Madinah, Makkah, etc that are used often should have spellings that have more hits on search engines. Muhammad Ibn Abdullah al-Hashmi (sallallaahu alayhi wa sallam)/peace be upon him/ peace and blessings be upon him/ or a different spelling? or will you use bin/Bin instead of Ibn/ibn. These are just formats that you need to decide on. * Some Arabic words that need explanation, will you italicize them? The obvious exception for the spellings will be when phrases of Arabic words are written in transliteration… like du’a. Academic styling too could be used in those exceptions too, but it may not be clear to average readers. Once you have a style sheet, you can give it to all writers. And if the posts go for an editorial review before publishing, they are scanned once more. More words: Hadith/Hadeeth or hadith/hadeeth, pl. Ahadith/Ahadeeth? Ayesha/Aisha/A’isha? hijab/hijaab or Hijab/Hijaab? You know some words are commonly used, so will you capitalize them? Apart from the above hadith/hijab example, you’ll find for example words like Fatwa/fatwa or jihad/Jihad. In sha Allah, we’ll send you an email. And if folks have heard Sh. Yahya Ibrahim, he is outstanding mashallah. May Allah make this a mutually beneficial affair for all. We’ll see if MM readers (or even MM shura) can handle MR’esque types of posts, haha. This is a great new beginning for MM, masha’Allah! ‘Welcome!’ to all the newcomers (who are by no means “new” in experience or knolwedge)! May we all benefit from each other. Welcome :) May Allah azza wa jal make it beneficial you and us. Alhamdulillah, this is awesome. Welcome to our new writers, MR and Sh. Yahya, who I’m sure will take MM to the next level inshaAllah. Welcome aboard everyone and many congrats! Sh. Yahya is an amazing speaker, mashaAllah…he was the guest speaker at the first DOA conference! Salam aleikum, being a new reader of your blog I am so proud and happy that all of you put in this effort — jazakalakheir. Alhamdulilah for the knowledge you help to share. Noor. Just wanted to say welcome to Yahya Ibrahim. As one of his former students in Toronto I can attest to his abilities and his wonderful character. I look forward to his contributions inshaa’Allaah. thats good news. looking forward to all the new input from these writers. couldnt have been any happier to hear that MR is on MM. I hope this site will be less tolerant of ignorant ill mannered comments and arguments. A blogg is not in isolation and independence of fear of Allah. I pray the editor of this site will be responsible and not let the people jahaliyah run amuk and blurt out whatever they ‘feel’ because of the misguided amendment of freedom of speech. This is not the example of faith or dawah. May Allah accept it Ameen. Mashallah its a greatnews to having Shaykh Yahya Ibrahim.I just wanted to know Shaykh’s E-mail.Jazakallhu khairan. Looking forward to all the improvements. 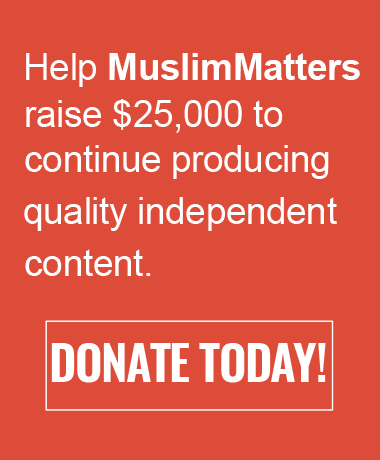 Muslim matters, just invite Nuh Ha Meem & Hamza Yusuf!!! I met Yahya Ibrahim in Australia last year, and heard him give khutbah there as well. Masha’Allah he’s a very positive and down-to-earth brother.